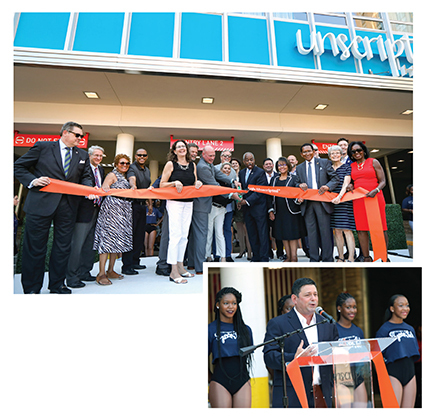 Unscripted Hotels, a new lifestyle brand and hospitality concept, just debuted its first location in downtown Durham, NC, with a grand opening ribbon cutting ceremony. 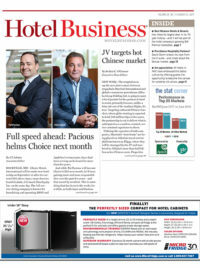 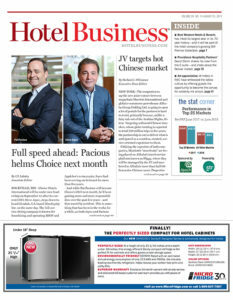 Jay Stein, CEO of Dream Hotel Group, addressed the crowd. 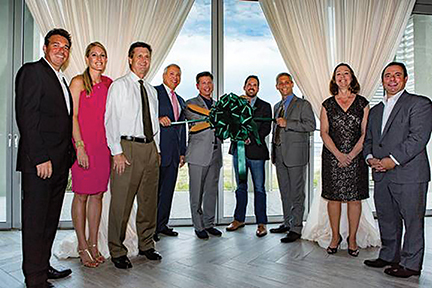 The Westin Hilton Head Island Resort & Spa hosted a star-studded unveiling of The Grand Ocean Terrace, an all-glass oceanfront event venue, which was the final piece of the resort’s $40-million renovation. 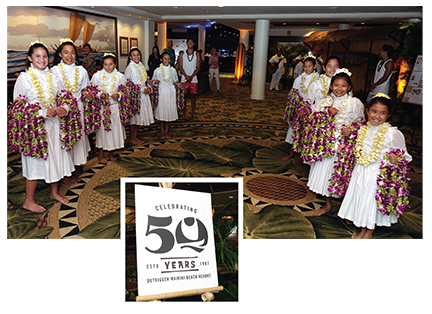 Outrigger Waikiki Beach Resort celebrated its 50th with a VIP Golden Anniversary bash, hosting more than 250 guests. 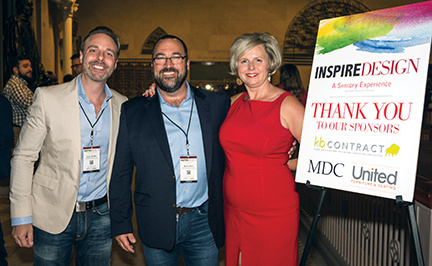 Butch Greis, United Furniture & Seating, is flanked by Allen Rolleri and Christina Trauthwein, Hotel Business Design. 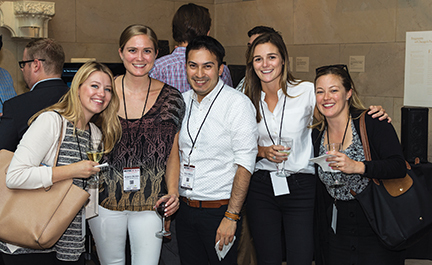 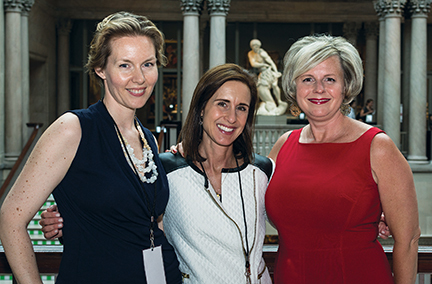 The design community gathered for a night of inspiration—art, wine, cutting-edge tech included. 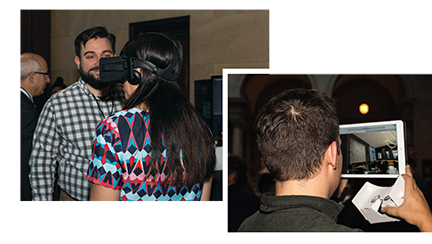 Attendees experienced virtual augmented reality firsthand.